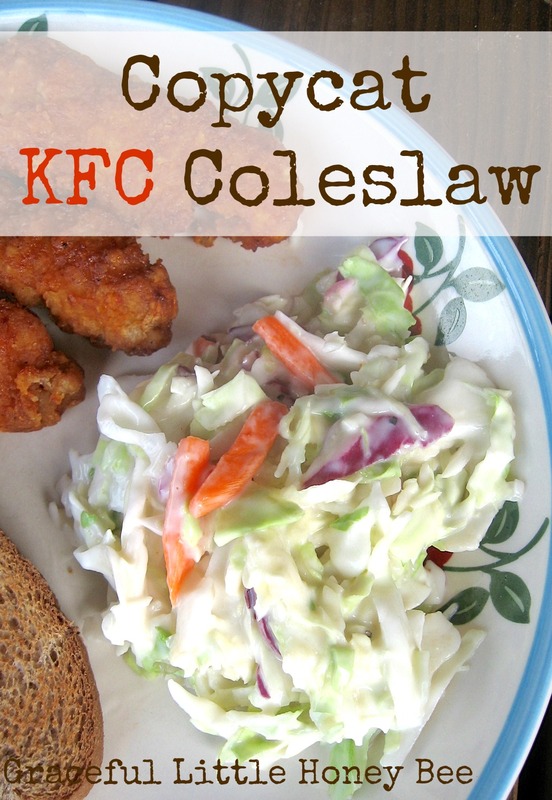 Who doesn’t love KFC’s coleslaw? This recipe is really similar and is great to take to picnics. Plus, you can put it together in a flash! It tastes best after it’s been refrigerated for a few hours, but needs to be eaten within a couple days to maintain the best flavor. Mix everything else in mixing bowl. Add coleslaw and stir until coated. I'm not a cole slaw person simply because I don't do mayo or miracle whip, but this one looks so pretty and colorful; I know it's good.